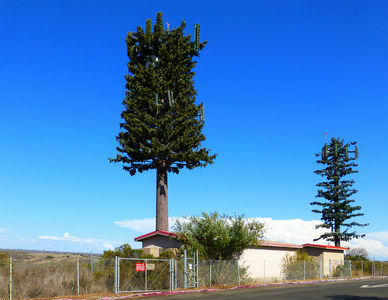 AT&T has just upgraded this monopine site to 4G and materially improved the camouflage. Much better than before. N/B I-5 at the rest stop. Note the camo around the microwave antenna.